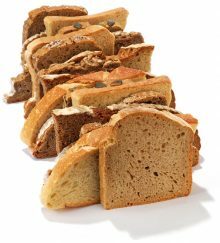 Healthy Bread: Is There Such a Thing? Looking for safe and long-lasting gastritis relief? Antacids only provide a temporary fix. But, identifying the true root cause of your gastritis will quickly guide you to the best therapies. Gastritis refers to inflammation of the lining of the stomach. It may last for a few days (acute gastritis) or it may linger for months or years (chronic gastritis). It is a clinical finding, caused by a variety of disease processes including medication reactions, excessive alcohol intake, and bacterial infection. Gastritis Definition: What Is Gastritis, and Why Is the Term So Confusing? There are so many different types of “gastritis” that it is difficult and somewhat confusing to come up with a single gastritis definition. That’s why the best treatment for gastritis heavily depends on the specific cause.